a band or strap worn on the forehead, used primarily in Nepal, tied to a woven basket on a person’s back to assist in carrying the weight of the basket’s load. a Colorado-based non-profit organization dedicated to lightening the load by assisting vulnerable communities in Nepal who are working to improve their own lives. Namlo builds long-term partnerships with communities in Nepal to support them in developing sustainable solutions that lead to greater educational, economic, and nutritional well-being. The most fruitful relationships and powerful changes take time to cultivate. That’s why we commit to forging long-term, 5-10 year partnerships with the communities we serve. With staff on the ground and years of proven oversight experience, we develop deep relationships with local communities and generate a mutual trust that supports our mission and benefits all. Long-term sustainability of improved lives is our objective. Community-driven projects built on trust are our foundation. Every community we work with and program we implement is carefully screened for its ability to sustain itself. We begin our work by simply listening; we hear their own assessment of what they need, rather than imposing our ideas upon them. Communities will only keep projects going if they want them to. Each project starts with an establishment of commitment. Then, we utilize staff on the ground, frequent trainings, detailed assessments, and prolonged follow up to ensure our beneficiaries are willing and able to work with us and take responsibility for continuing their programs for generations after we have left. Measuring the impact of our programs is paramount to how we manage our efforts. Equally critical to the quantitative measure of homes, schools and water systems we build is the successive outcomes of such activities and the life-changing impact on the people we serve. Our monitoring and evaluation process enables us to measure the effect our efforts have on the incomes, agricultural productivity, gender balance, educational performance, dietary diversity and value of local participation in the communities we work with. Access monthly program reports and documentation to get a better understanding of the value of our work. A generous private donor and volunteers performing professional work for Namlo cover all of our overhead and administrative costs so that every penny you donate goes directly towards the communities we serve. Founded in 1999, Namlo International is currently in our 20th year of working hand in hand with vulnerable international communities. Namlo International has positively impacted thousands of people through school construction, scholarships, livestock and farming programs, and water supply and economic opportunity projects. Namlo International builds resilient communities by bringing local aspirations and visions to life. To do this we establish long-term partnerships with community members and operate from a ten-year window of opportunity based on the willingness of communities to co-create this change with us. Our approach is broad, equitable and encompasses a range of programs designed in collaboration with community members and implemented with community investment to build local leadership. Our market-driven approach enhances the self-reliance of each community. We build safe schools, support local teachers with resources and provide students with high-quality programming in order to increase education outcomes. As a data-driven organization, we’re closely monitoring the effectiveness of every program and school that we implement and construct in partnership with the communities that we serve in Nepal. Livestock production is a critical component of the agricultural economy of our partner communities, going beyond food production to include skins, fiber, fertilizer, fuel and more. Our projects strive to improve goat and swine-keeping through vaccination, de-worming and market training. Water is foundational to the well-being of human life. Our work to bring water to communities with limited water accessibility - such as our model solar-powered system bringing water to over 120 households in Sabhung - improves human health and economic development by freeing hours of collection time so livelihoods can be made through animal husbandry and agriculture. Education impacts every area of life, paving the way for greater health and sanitation, gender equality, and familial economic stability. We are driven by a desire to help bright, young boys and girls in Nepal take full advantage of the gift of knowledge. Your generous sponsorship of eligible students will generate opportunities that will improve the lives of children and their families. We are dedicated to fostering economic resilience and building sustainable communities. We work with community members to identify entrepreneurial activities that not only raise incomes and living standards, but also contribute to the well-being of the community as a whole. We are committed to rebuilding Nepal after the devastating earthquakes of 2015. Despite unexpected blockages and topographic challenges, our reconstruction work has been extremely successful thanks to your generous support and the commitment of the communities we serve. Make a conscious difference by aligning yourself with our mission to effectively engage communities in need. With your involvement we can support education, economic development and gender equity in Nepal. 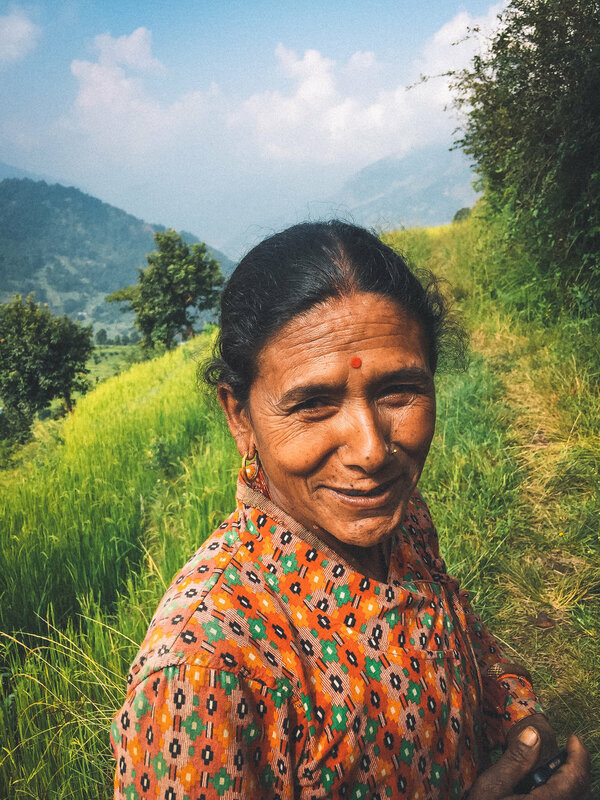 Through a one-time or monthly recurring donation, you can support our efforts to change the lives of individuals, families, and communities in Nepal. Education has a profound and transformative effect on a student’s mind. Your sponsorship will create life-changing opportunities for a young person. Are you nterested in working in the international development field? Explore opportunities to collaborate with us as an intern or dedicated volunteer. Sign up to receive our newsetters and follow our story!